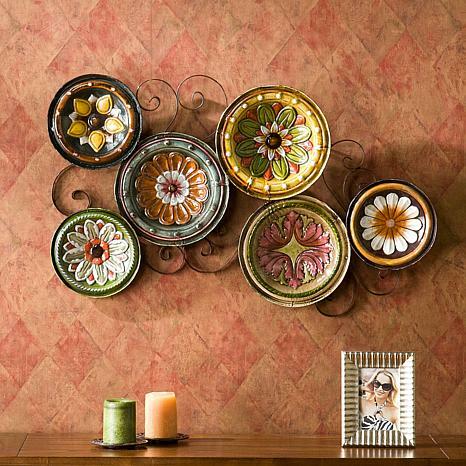 "Absolutely Stunning" is all that your guests will be able to say after seeing this beautiful Italian Plate Wall Art. Assorted sizes and patterns are created from decorative metal plates and then hand painted and glazed. The colors are eye popping and the assortment is further enhanced by a decorative scroll frame that holds all of the plates together. Add a Tuscan vibe to your home today. This is a great statement piece! 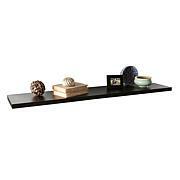 The entire piece is a lightweight metal, so no need to worry about plates being knocked off the wall. I only wish it was easier to hang. It should come with a template since the holes in the back are not even for hanging. My daughter came up with the idea to tape something on the hanging brackets so that part protruded when placed against the wall (we used cotton balls), put lipstick on the tape, placed the plates exactly where we wanted them, and pressed them so the lipstick would "stamp" the wall and mark the area to be driven with the anchors. It takes 3 people--2 to do it and one to tell how it looks. Worked perfectly! Necessity is the mother of invention. I hope this helps someone else. LOVE this item. My brother put it up in minutes. It looks great on my wall in the dining room. Love it, love it, love it. Love my new wall art! It's even prettier on my wall than I had expected! I love this wall dcor. 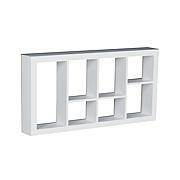 It's bright, classic, and complements a variety of room colors and styles. 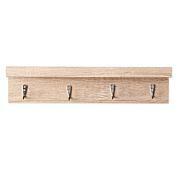 Another plus is that it's lightweight and easy to hang on a wall. I say give it a try.